It could be easy to be cynical about a tour professing to follow in the footsteps of the Mahatma. Our world is full of tourism packages cashing in on spurious associations with local icons. Thankfully, the Gandhi Legacy Tour is not one of those. The two week tours began around 15 years ago. On average there are one or two a year, with around 20-40 people taking part. As befits a journey in the footsteps of a man dedicated to a humble asceticism, these are not luxury trips, or as Arun puts it: “typical destinations of pampered luxury or day trips through Indian pockets of poverty”. Instead people stay in modest (but clean and welcoming) lodgings, travel on buses and trains (which is the best way to see India anyway), and visit villages and slums rather than the Taj Mahal and a tiger trek. Accompanied by Arun and his son Tushar Gandhi, guests get the chance to meet with various women’s and child rights grassroots organizations that are truly making a difference, such as a group in Kolhapur that is educating an ever-growing number of underprivileged and exploited children, and also empowering women and girls in rural villages who lack basic human rights. The experience can be harrowing, as travellers are taken through the brick kilns where children are forced into bonded labour, yet this is life as it is lived, not dressed up or disguised for tourists, and the people you meet are committed to bringing about change and building better futures for some of India’s most marginalised peoples. For me though, it is not the words, but rather the actions of the guests that speak loudest. 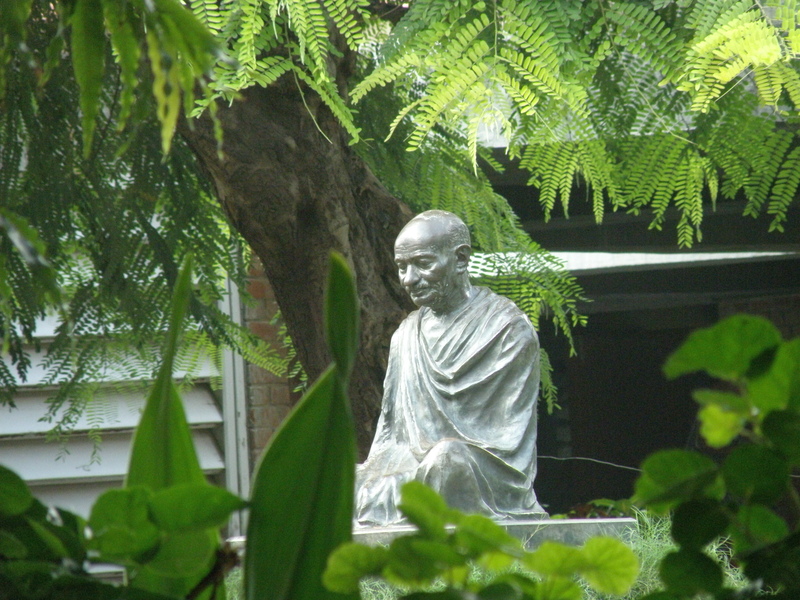 (They also embody another of Gandhi’s ardent beliefs, ‘An ounce of practice influences more than a ton of preaching’.) When the Share Marketplace, which works in the slums of Mumbai and is one of the projects visited on the tour, was flooded out and lost everything, Gandhi Legacy tour group participants raised $12,000 to ensure it was able to keep going. If Responsible Tourism is supposed to be about “creating better places for people to live and people to visit”, you couldn’t ask for a better example than that. For more details on the tours, click here. Next year, Gandhi Legacy Tours is spreading beyond India for the first time – to South Africa, where the young Gandhi grew up, to see how his experiences under apartheid helped turn him into the man he became. Previous: Do online travel agents give enough accessibility info?